I don’t have any photos of Grace Brown (Coffey) but I feel like she has such an interesting story, which is yet undiscovered. Grace was born in Ireland probably Dublin, to parents John Brown and Mary Boyd. 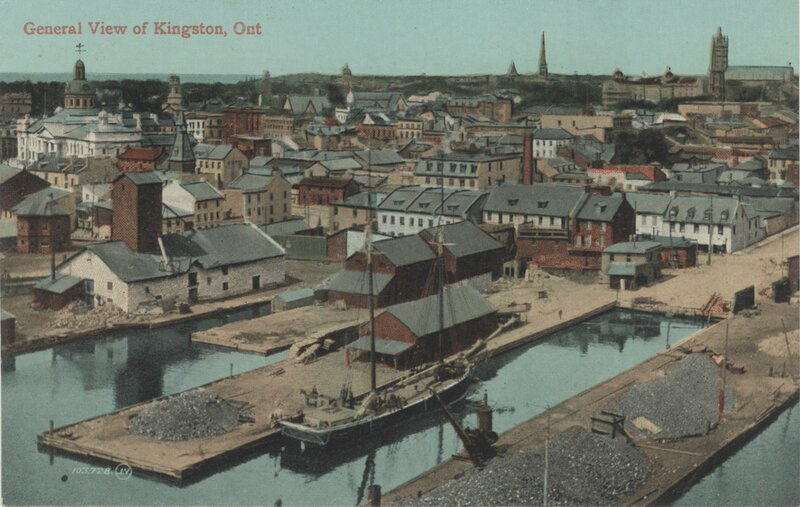 Grace grew up in Kingston, Ontario with her 8 siblings. She married William Coffey on the 22 March 1860 which lasted for 42 years until her husband’s death. Grace was a widow for the next 20 years until she passed way in 1922. Her obituary is below. Mrs. Grace Coffey, widow of the late William Coffey, of this city passed away at the home of her daughter Mrs. Joseph McAuley Gananoque on Sunday after a short illness. The deceased was born in Ireland eighty-seven years ago but resided in Kingston most of her life. There are surviving two sons, William and Thomas, and one grandson William, and six daughters Mrs. George Kennedy, Stratford; Mrs. W.F. Lowe, Los Angeles; Mrs. Hughes, Port Hope; Mrs. Kayes, Rivers, Man. ; Mrs. McAuley, Gananoque and Miss Coffey, Montreal. The remains were brought to Kingston, Monday, and the funeral took place from 315 Johnson street the residence of William Coffey, to Cataraqui Cemetery at 3 p.m. Tuesday, under the direction of James Reid, undertaker, Rev. Mr. Duncan pastor of Bethel Church officiated. The casket was banked with beautiful flowers from relatives and friends, expressing the affectionate regard in which the deceased was held.